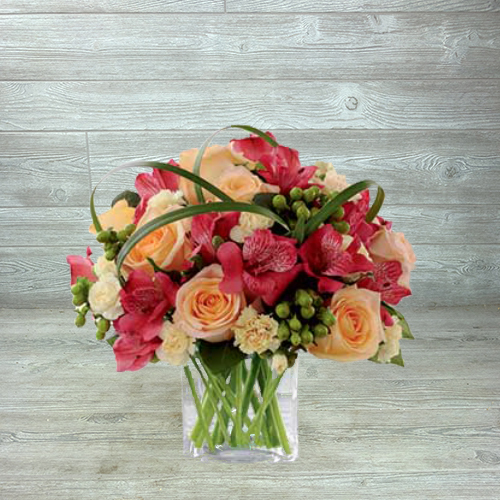 The FTD® All Aglow™ Bouquet by Better Homes and Gardens® lights up any occasion with its colorful blooms. 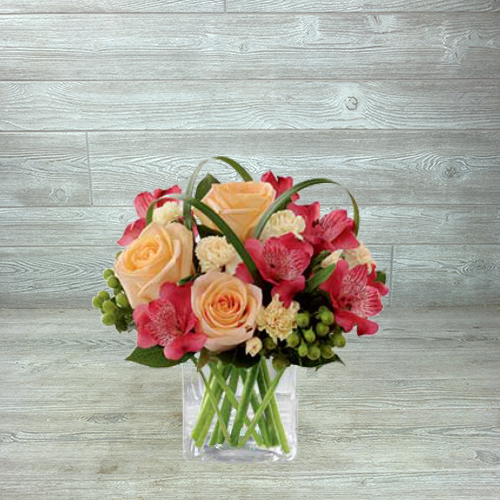 They’ll love the glow and elegance of peach roses combined with stunning red alstroemerias, light yellow mini carnations, plump emerald hypericum berries, lovely loops of lily grass blades and vibrant greens. 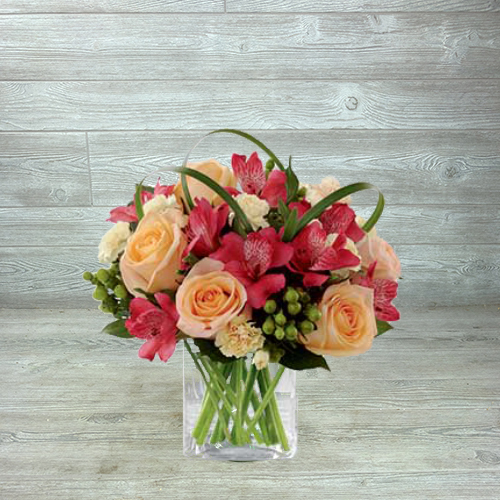 This eye-catching roses bouquet arrives in a contemporary cube glass vase, with your card message included – a thoughtful way to say “Thank you”, “Get well” or “Congratulations”. Or create a brilliant birthday surprise when you order online with your choice of optional add-on gifts like a gourmet box of chocolates or a cuddly soft stuffed bear.